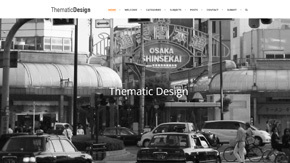 Website for John Habraken`s open forum project on thematic design. Webdevelopment on the basis of a wordpress template. 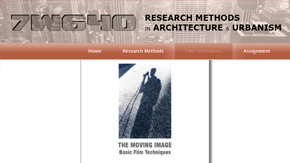 Teaching film techniques in the research methods course at the TU Eindhoven. The aim was to teach filmmaking in order to give the students a new tool to present their resesarch results in a short video. Please have a look at the course website. The course results will be published soon on youtube. 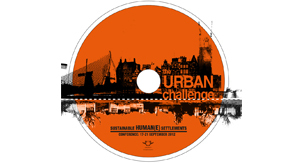 A film project in collaboration with the University of Johannesburg for the conference `Sustainable Human(e) Settlements: The Urban Challenge` which was held in September 2012. The film portrays 4 housing projects in the Netherlands between 1982 and today which deal with adaptability and participation of the inhabitants in different scales and approaches. During the Festival which was held on the Old Galata Bridge together with Design Week Istanbul x!mage made a few short impressions of the participants and actions. 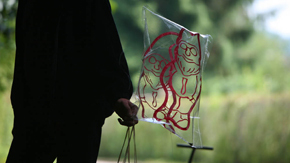 Work on Dutch television series a.o. Meiden van de Wit, Taxi, Parels en Zwijnen. Filming and editing of the workshop presentation of the vormleer workshop organized by Gerald Lindner aan de Academie van Bouwkunst Amsterdam 2007. The students investigated and made concepts for inflatables in relation to a spatial context. A short presentation for the BIBM fare 2005 of the results of the concrete case study workshops where engineers, architects and the industry were brought together for a collective brainstorm and exchange of ideas. Master course at TU Eindhoven, 2007. The medium video was applied in all stages of the design proces, from analysis via storyboarding to the final presentation. 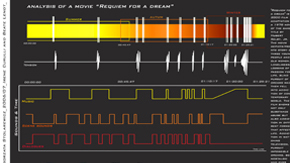 Short assignments on film theory and analysis were done to introduce the students to the film language. Two cuts divide the urban tissue: a deep canyon and a broad plane with undefined borders, more resembling a delta. Together they create an isolated and undefined island in the middle. 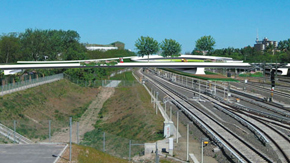 New cross links between the adjacent neighborhoods are created to revive the area like veins these consist of a continuum of cycle paths, water channels and bridges. In the interior areas the existing green quality is embedded with the existing work and housing activities and the program is densified. The building idea: open inspiring space, transparency between disciplines, common social ground and opening up to the public, providing on top intimate spaces to concentrate. An internal street where the building gives two footprints at each side, one the office block, the other the big staircase of the performance volumes and support spaces. During the day it is the public space before entering the world of the performance village, connecting to the social spaces of the building. 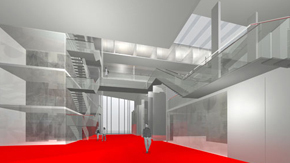 At performance time it is the red carpet providing a majestic space under the atrium giving sight to the moonlight. The fundamental critic and proposed radical alternative approach given to the existing urban master plan from Bureau Urhahn was the reason the jury awarded this project a special honorary mention. 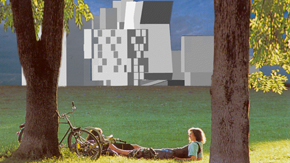 Our proposal aims to create an urbanely dens high quality living and working area by building on the green instead of next to it in a campus model. The buildings consist of a heterogeneity of lose objects, where different scale, typologies and a diversity of functions can be incorporated, also being able to take into account future developments. 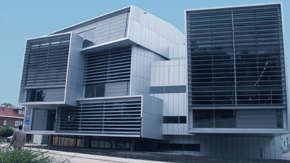 Next to the railway station in Zwijndrecht, the new laboratory looks like a many-headed monster with a compact body and a metal skin. In the interior two atria provide lines of sight between offices, laboratories and research halls and connect the head and body part with different ceiling hights through slightly ascending and descending pathways. They also let daylight and fresh air into the building. The atrium in front is used as a village square, concert hall and exhibition room for personnel and visitors. From 1998-2000 part of the design team at Venhoeven C.S. architects in Amsterdam.